Brionne was born in Texas and started acting at a very early age, playing Tom Sawyer. He has starred and taken leading roles in more than 30 independent films, including REST STOP, WITCHES OF OZ, PANDEMIA, NARCISSIST (2014), SAVAGED (2013), DON’T LOOK BACK (2008), and HOLIDAYS WITH HEATHER (2006). In New York, Brionne starred in the Theatre Row Adaptation of Sam Shepard’s True West. He has appeared in many theater productions all across the country, including Wallenburg at the Soho Play house, and A Noble Exile, in Los Angeles and Nueva York, a one-man show that he wrote and produced, inspired by the writings of Tennessee Williams. Brionne’s character was inspired by the great botanist and explorer Richard Evans Schultes, and he feels close to him in his love and search of plants and nature. Antonio Bolívar Salvador - "Old Karamakate"
Nilbio Torres - "Young Karamakate"
Miguel Dionisio Ramos - "Manduca"
Miguel was born and raised in Nazareth, a Tikuna community of the Amazon, 26 years ago. He is now a student of physical education in Bogotá and is about to achieve his greatest goal: to become a professional. He defines his participation in the film as a new experience in his life, this time from the field of art and corporal expression, which reinforced his thinking and showed him how to see life from different perspectives. 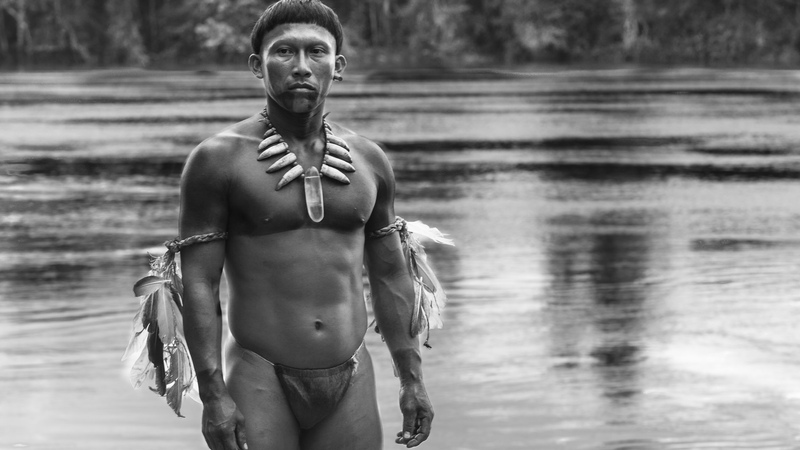 He believes this film should be shared not only with the people of the locations, but all across the country, with all the indigenous peoples in Leticia and the Amazon, with the leaders, in schools and universities. 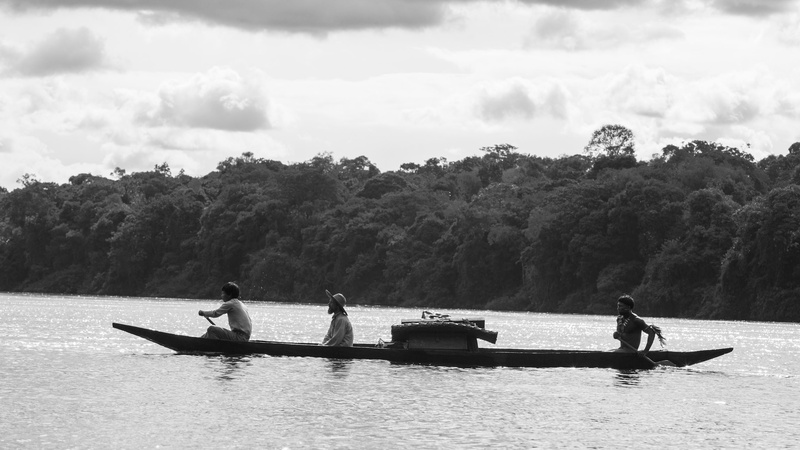 Miguel is the voice of many Manducas, a voice that, far away from the so-called civilization, claims for a more civilized attitude towards Colombia’s indigenous communities. CIRO GUERRA was born on Río de Oro (Cesar, Colombia) in 1981 and studied film and television at the National University of Colombia. At the age of 21, after directing four multi-award-winning short films, he wrote and directed LA SOMBRA DEL CAMINANTE (THE WANDERING SHADOWS), his feature directorial debut, which won awards at the San Sebastian, Toulouse, Mar de Plata, Trieste, Havana, Quito, Cartagena, Santiago, and Warsaw film festivals, and was selected for 60 more, including Tribeca, Locarno, Seoul, Pesaro, Seattle, Hamburg, Kolkata, Rio de Janeiro, Istanbul, and Guadalajara. His second feature film, LOS VIAJES DEL VIENTO (THE WIND JOURNEYS) was part of the Official Selection – Un Certain Regard of the Cannes Film Festival in 2009. It was released in 17 countries and selected in 90 festivals, including Toronto, Rotterdam, San Sebastián, Hong Kong, Jerusalem, and London, receiving different awards in Cannes, Santa Bárbara, Málaga, Santiago, Bogotá, and Cartagena. It was recently selected in a national critic’s poll as one of the top 10 most important Colombian films in history. 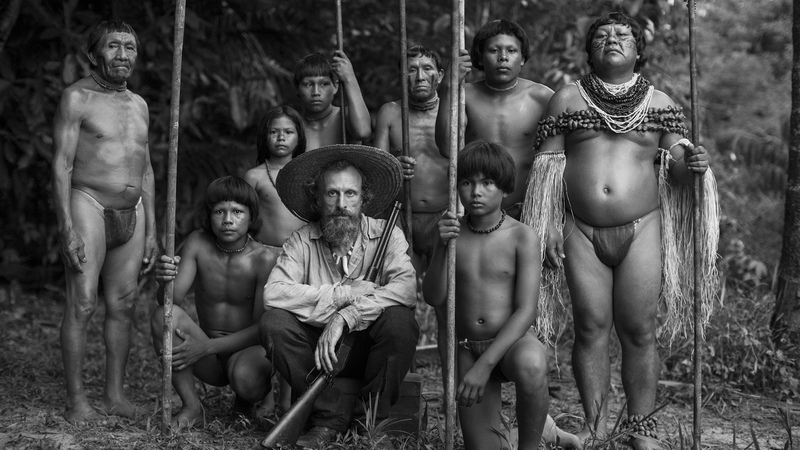 Both films were chosen to represent Colombia in the Academy Awards. 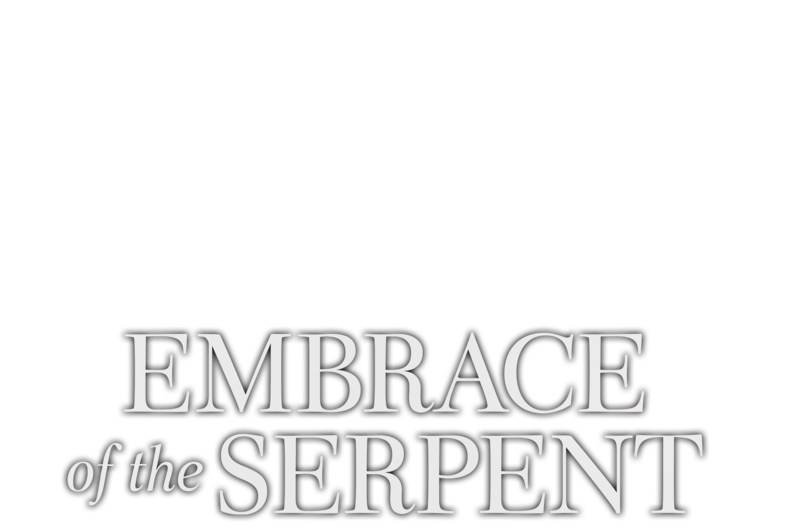 EMBRACE OF THE SERPENT is his third feature film. CRISTINA GALLEGO was born in Bogotá in 1978 and graduated from Film & TV School at the National University of Colombia and from Advertising and Merchadising at the Politécnico Grancolombiano. In the production area, she has participated in the training workshops of Film Business School 2010, ACE Mundus 2012 (atelier du cinéma européen). In 2001, together with Ciro Guerra and Diana Bustamante, she founded Ciudad Lunar, production company of the feature films LA SOMBRA DEL CAMINANTE (THE WANDERING SHADOWS) in 2004 (Winner of 15 international film awards) and LOS VIAJES DEL VIENTO (THE WIND JOURNEYS) in 2009, which was selected in the Cannes Film Festival. They were co-produced with Argentina, Holland, and Germany, and supported by Ibermedia, Berlinale’s World Cinema Fund, Cannes Cinefondation, and Rotterdam’s Hubert Bals Fund. Both films were directed by Ciro Guerra. Her third feature film, EDIFICIO ROYAL (BUILDING ROYAL), directed by Iván Wild, was selected in Biarritz, Viña del Mar, Miami, La Habana, Lima, Aruba, and Cartagena Film Festivals. She is also coproducer of CECILIA (2012), directed by Verónica Rodríguez, and the documentary film EL VIAJE DEL ACORDÉON, (THE ACCORDION’S JOURNEY), directed by Andrew Tucker and Rey Sagbini, which won the Audience Award at the 2013 Cartagena Film Festival. She’s currently developing PÁJAROS DE VERANO (BIRDS OF PASSAGE), which will be directed by Ciro Guerra for 2017, and co-producing the film DEMONIOS TUS OJOS (SISTER OF MINE), directed by the Spanish director Pedro Aguilera, whose previous film, LA INFLUENCIA, was selected for the Quinzaine des Realisateurs 2007. All of her films have been made through co-production. Among her partners are Cine Sud Promotion (Fr), Razor Films (Ge), Aurora (Ge), Volya Films (Ne), NorteSur (Ve) and CineOjo (Ar). Nationally, her projects have been supported with private funding from the two most important TV Channels in the country: Caracol and RCN. She’s a member of the Colombian Film Academy, representative of the producers in the Cinema Guild, and member of the Association of Producers ACE Network (Ateliers du cinema Européen).